We will introduce Percona Server 8.0 - what's new since Percona Server 5.7 and how it's different from MySQL 8.0. 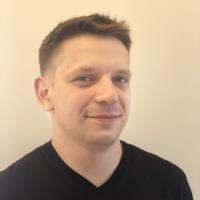 Laurynas is a software engineer and Percona Server lead whose primary interest is InnoDB performance. In the past he worked in industry, interned in Google as a compiler software engineer, as well as academia where he researched physical database indexes, including large-scale spatial models of the brain.